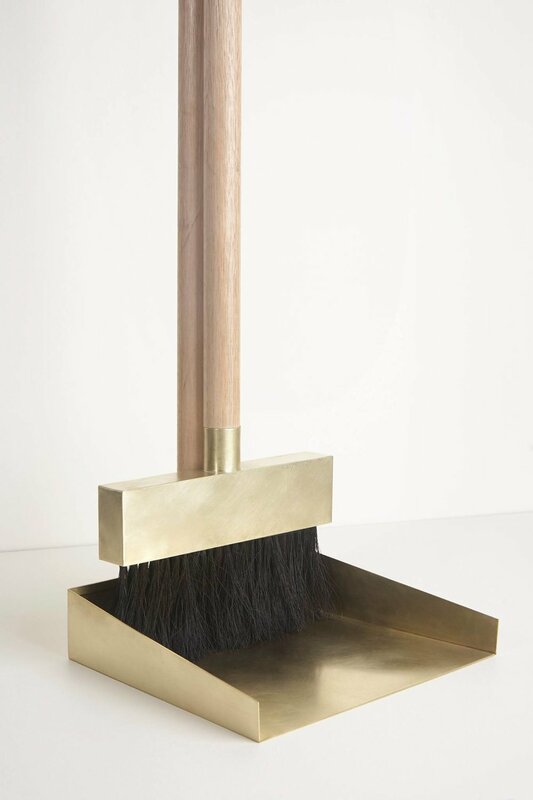 Sydney-based designer Studiokyss have designed the Brass Dustpan and Broom. The concept and ideology around this piece was to bring a decorative yet functional ability to both the craft and design. Having the ability to create work that interacts with the user on an emotional and physical level is key to Studiokyss' designs. The brass dustpan and broom is made from Tassie oak, brass and horsetail. The handle of the dustpan also includes a pronounced brass tip which is used to help hang the broom when not in use. What I really like is the importance of longevity that has been ingrained into the design of the brass dustpan and broom.